In the traditional Buddhist Pāli language, a single monk is called Puggala, an individual. Two to three monks are called in Sanskrit Gana, a circle of devotees, and four or more monks constitute a Sangha or Samgha. From the time of Buddha, Buddhist monks have always lived in communities of Sangha and will continue to do so for ages to come. Throughout history, ordained monks and nuns were not obligated to join additional organizations outside of the Sangha. According to the Pāli Canon, there are no other organizations to represent Buddhist monks besides the Sangha. Buddhism recognizes all ordained monks as members of the Sangha as long as they adhere to the moral discipline outlined in the Vinaya Pitaka of the Buddhist scripture. There is no requirement to register with any government authority to prove one’s identity of monkhood. Monks have always lived a simple and meditative life by paying respect to the senior monks and by fostering harmonious relations among the monastic members. No monk can be involuntarily expelled from a Sangha, except when the Buddhist monastic code of conduct, called “the four Parajika Dharma,” has been violated. Even if the monk’s robe is forcibly removed, the person’s monkhood still remains. One can only ordain or disrobe a monk by following strict rules of the Buddhist Canon. Disrobing cannot take place without a proper ceremony, but those who are “Buddhists” in name only incorrectly assume that removing the robe will reduce a monk to a layperson. In 1980-81 the Maha Nayaka, the government sanctioned Sangha Council in Burma, was formed with 47 monks under the rule of the BSPP (Burma Socialist Program Party). Many prominent monks denounced the government’s use of a registration system to control Burma’s Sangha. Even at the height of the BSPP dictatorship, monks bitterly resisted the government’s intrusion into Buddhism. They believed that by requiring the monks to register with the authority, Ne Win’s government was putting collaborating monks in charge of the Sangha community to control religious freedom inside Burma. Some senior monks candidly told Sein Lwin, a government recruiter, that they would rather not become part of an instrument to tyrannize the monks. When more and more monks began speaking out against the government’s attempt to undermine the religion, some were arrested under false charges of violating the most serious Parajika-Dharma, the monks’ moral code of conduct. After accusing those monks as “fakes,” the Central State Sangha Council was formed amidst criticism by the prominent monks in Burma. Again, in 1991 and in 2007, activist’s monks were arrested under false charges of being “fake” monks when they refused to receive alms from the members of the military because of their failure to help the people in dire poverty. At the founding of the Maha Nayaka or Mahana, the BSPP raised enormous amounts of funds by partnering with popular entertainers. They brought in large amount of alms offerings, telephones, cars, land, and above all, power and influence, to the Mahana monks who collaborated with the authorities. From time to time some monks were even suspected of offering bribes for lucrative Sangha Council positions, causing conflicts within the previously harmonious monks’ communities. Profits from bribery and kickbacks have become a big business for the justices and middlemen at the Ka-bar-aye office of the State Sangha Council, where monastic disputes over lands, buildings and violations of the monks’ Parajika-Dharma code of conduct are settled. Regardless, it is still the responsibility of the Nayaka council to protect and promote the humanitarian and religious efforts of the Burmese monks. Together with local authorities, the Nayaka Council should try to clean up the unethical behaviors of a few monks—such as gaming, gambling, panhandling at bus depots, consumption of alcohol, and eating after noon. Though the Mahana was founded to preserve the growth and integrity of the Buddhist institutions in Burma, monks with true convictions were powerless against the regime’s handpicked Nayaka Council members. Although a number of new Pariyatti Buddhist institutes for higher learning were opened in the past, young Burmese monks were still not able to practice religion freely. Young intellectual monks with true convictions were prohibited from openly discussing their views and were often threatened with expulsion and failed grades. Following the downfall of the BSPP, under the SPDC (The State Peace and Development Council), the Nayaka Council continued to harass these monks over trivial offenses while it routinely offered the preferred seats at the religious seminaries to monks who collaborated with the regime. Additionally, the government’s Na-pa-tha Buddhist universities have not been able to promote Burmese Buddhism abroad because of the shortage of talent, inadequate supplies, and the dictatorial tendency of the Nayaka Council. Burmese Theravada Buddhism was brought to other countries only by those monks who were supported by private donations. Except for a brief period, religious freedom and Buddhism study came to a standstill under the present leadership of the Nayaka Council in Burma. 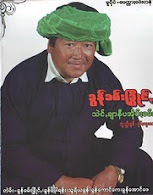 While there were ecclesiastic Vinichaya courts available to handle charges brought against Burmese monks, without the help from the Mahana Sangha Council, Burmese monks were instead tried in military-controlled criminal courts during the Saffron Revolution. Monks were forcibly disrobed and sentenced to years in prison. In order to preserve their own privileges, the government-sponsored Mahana monks usually comply with the orders from the authority without weighing the moral consequences of their actions. As witnessed during the 2007 Saffron Revolution, a weak and ineffectual Maha Nayaka State Sangha did not try to stop the nighttime raids on monasteries and the brutality against the monks by the military regime bent on crushing the freedom of the young monks. Buddhism is a path of enlightenment from future sufferings, as well as the sufferings of the present life. According to Buddha’s teachings, Burmese monks are expected to contribute toward the wellbeing of those around them, in healthcare, education and many other ways all across Burma. Historically, monasteries have been the bastions of intellectual studies; and their contributions to the quality of life have earned them religious merits and recognition as champions of the oppressed. Since ancient time, monks have acted as pillars of the community, and their efforts and advice were kept in high esteem throughout Burmese society, where accepted etiquette and codes of conduct taught by the monks provided guidance to rulers and lay people alike on how to live in peace and harmony. Burma, where Buddhism has flourished for centuries, deserves a much better Sangha Council, one which is unafraid to tell the truth, and which can remain independent of outside influences. It must be able to resist the temptation of the four offenses of Buddhism, and be able to provide proper guidance to the monastic communities across Burma. To create an independent Sangha Council, the monks must be allowed to make free choices, and while the authorities and lay people can offer support, religious matters must be left only in the hands of the monks. As long as the present Sangha Council remains in place there is no hope for the preservation of Buddhism in Burma. First, the Council collaborated with the BSPP, and then with the SPDC. And now under Thein Sein’s government, the Maha Nayaka Council is still serving the interests of the authorities instead of the people. While the Burmese military is moving toward political reform, the State-sponsored Mahana is stuck in the authoritarian past. Indeed it is time now to replace the old and corrupt authoritarian Maha Nayaka Council permanently, with a new, democratic, just, kind, and truthful Sangha Council, according to the teachings of the Buddhist Canon.